The Grampians region offers plenty of space to explore. Opportunity to indulge in fabulous local food and wine will attract weary travellers to settle their heads and take in the scenery and adventure that awaits throughout The Grampians. 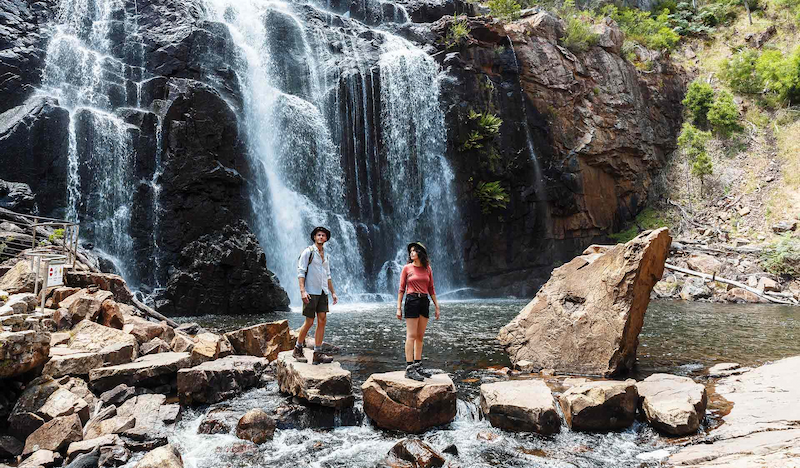 Explore mist-shrouded wonderlands like Nigretta Falls near Hamilton or walk through bushland to find jaw-dropping views over the surrounding ranges. Travellers can stroll amongst wildflowers and keep your eyes open for spectacular wildlife. Why not opt for self-drive discoveries or take up the option of a professionally guided tour. 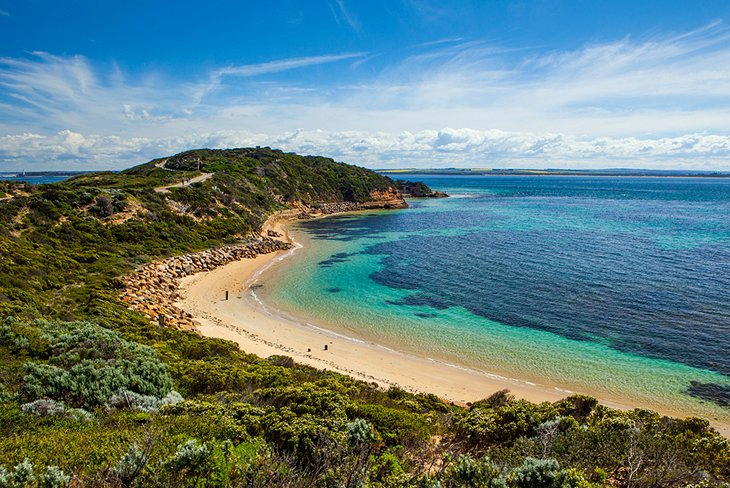 The scenery throughout The Grampians region is on an epic scale, from secluded waterfalls to dramatic peaks, lush desert landscapes to sweeping valleys and is not far from the western end of the Great Ocean Road. Its scenic beauty wonderlands aren’t short on challenges, with activities and adventure plenty for all ages and levels of fitness. Bushwalking and horse-riding are amongst the popular activities on offer throughout the region as well as mountain bike riding and rock climbing. 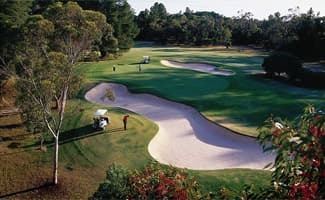 More sedate activities are on offering including camping areas and picnic areas, golf courses are spread throughout the regions to allow any keen golfers to practice their swing. Why not cast a line and enjoy the freshwater fishing, or even take a dip in the cool water, or for a little more adventure maybe take the 4WD and take an adventure tour. 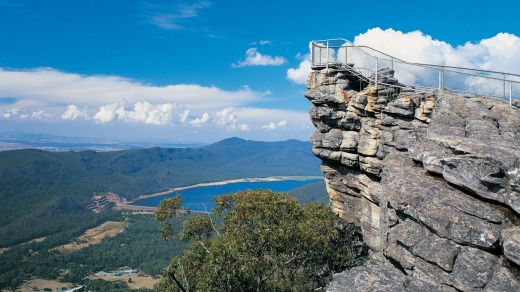 Victoria is famous for its food and wine and The Grampians doesn’t lack in that department. If you’re after some of the best tastes in the country, then you’ve definitely found the right spot in this region. Not only is the wine and food the finest, its set amongst a backdrop of some of Australia’s most magnificent scenery. Holiday makers can experience historic vineyards and other regional cellar doors that offer their own unique taste with wine and food in The Grampians region. Milk, Cheese, Olives and locally sourced beef are a speciality on menus throughout the region. An assortment of other goodies are always on show including an annual festival that showcases what the region has to offer in the way of good food and wine. 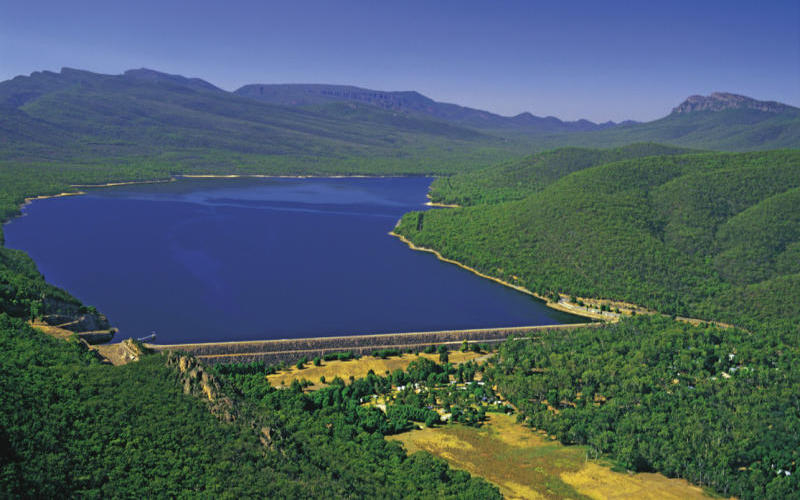 A Grampians accommodation is great in this region, whether you wish to stay in the lap of luxury or a bushland camp setting, The Grampians region has an array of quality accommodation on offer to suit every budget and level of comfort. Grampians accommodation stretches along it’s entire region, from heritage homesteads to contemporary architectural creations that blend into their beautiful surroundings.